The shares, which have gained 32pc in the past 12 months, climbed more than 3pc. Mr Murdoch’s News Corp currently owns 40pc of BSkyB, with the remainder held by investors. 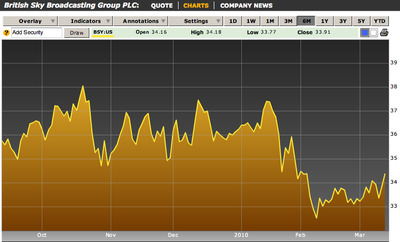 One leading London stockbroker reported that ‘shrewd investors’ had been big buyers of the shares over the past 24 hours. 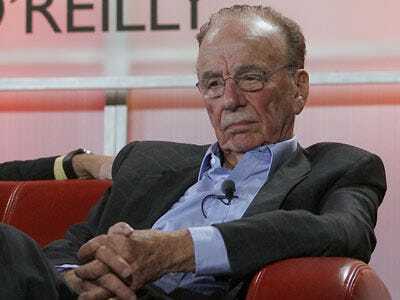 Murdoch could take the company private. The shares appear to have eased off a bit since the above report, yet they remain well below recent price levels as shown below. This could mean that any take-out might have to pay up a bit from the current price level.